Notes: Hampstead Road station opened on 9th June 1851 and was resited to the west on 4th May 1855. Cross's New Plan of London 1861 shows Hampstead Road station even though it closed in 1855. It also shows its replacement to the west. 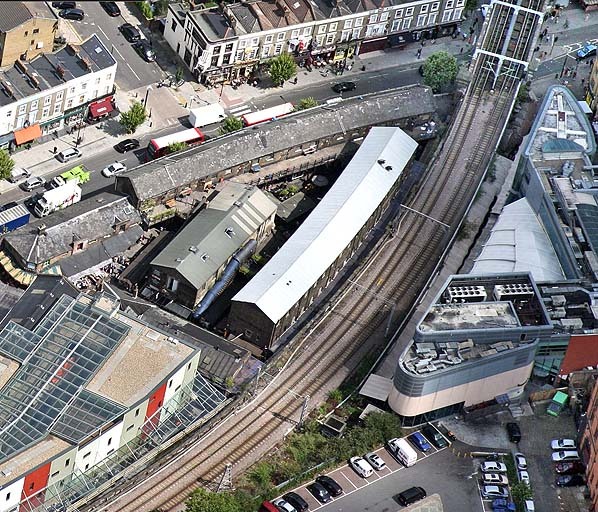 Recent aerial view showing the site of Hampstead Road station.